In his swing through Europe giving lectures about education, Steiner was facing audiences who were interested in education, but who were unfamiliar with the supersensible consciousness upon which Waldorf education was based. 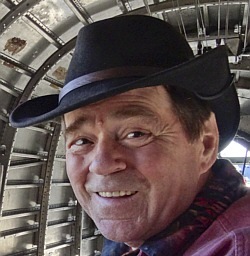 He avoided the use of any terminology that his audience was unfamiliar with, instead using common sense examples and analogies from the material world. 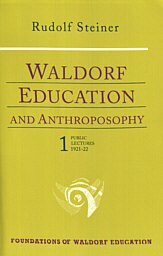 As René Querido says in his Introduction, these lectures contain "a number of surprising jewels not found anywhere else" by learned readers of his lectures, and they "could well be placed also in the hands of beginners who wish to find out in a succinct and clear way what Waldorf Education was really about." My undergraduate degree was in Physics, so I studied the basis of all the natural sciences in my search to understand how the world worked. I did not want to be an engineer who builds things, but rather to understand the nature of things. Nothing, however, that I learned in my college days gave me any insight into the essence of life itself, what it means for me to be a human being. I began to see life as a puzzle with an enigma on each end. What happened before I was born, and what happens after I die. 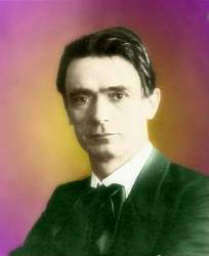 This formed an unanswered question in me which led me to study the works of other writers and led me eventually to Rudolf Steiner who provided answers to me in his spiritual science, anthroposophy, the science of the full human being, body, soul, and spirit. [page 2] Natural science, with its scrupulous, specialized disciplines, provides exact, reliable information about much in our human environment. But, when a human soul asks about its deepest, eternal being, it receives no answer from natural science, least of all when science searches in all honesty and without prejudice. In earlier times, there was only one stream of knowledge which included two worlds: the everyday world of the senses and the spiritual realities. Today most people accept only the world of the senses, but back then one felt oneself as part of both worlds; in fact, the idea of two worlds never occurred to anyone back then. Take, for example, humans in early stages of Greece which was so different from ours today. Steiner explains with the analogy of a finger. [page 6] During its earlier stages, the state of the human soul was not the same as it is today, for in those days there still existed a dim awareness of humanity's kinship with nature. Just as a finger, if endowed with some form of self awareness, would feel itself to be a part of the whole human organism and could not imagine itself leading a separate existence — for then it would simply wither away — so the human being of those early times felt closely united with nature and certainly not separate from it. With the adoption of the Copernican Sun-centered view of the universe and the Baconian method of focusing only on the external sensory world, the one stream of our earlier integrated knowledge of the natural and spiritual worlds split into two separate streams of natural science and spiritual science. Actually when the split occurred, and since then, the separate stream of spiritual science was called metaphysics and disparaged by natural scientists as illusory and superstitious. What Steiner has accomplished with his spiritual science is to demonstrate conclusively that spiritual science can be as practical in enhancing our soul life as natural science can be in enhancing our everyday physical life. The curious thing that Steiner points out is how Aristarchus of Samos in ancient Greece taught a Sun-centered view of our cosmos during a time when the Earth-centered view was active. The Earth-centered view prevailed for some 2,000 years until Copernicus’s time. The Sun- or helio-centric view was known in ancient mystery centers, but the leaders of these schools kept it secret from the common person. Why? [page 7, 8] Why were ordinary people left with the picture of the universe as it appears to the eyes? Because the leaders of those schools believed that before anyone could be introduced to the heliocentric system, they had to cross an inner threshold into another world — a world entirely different from the one in which people ordinarily live. People were protected from that other world in their daily lives by the invisible Guardian of the Threshold, who was a very real, if supersensible, being to the ancient teachers. Why was this a problem? Because if people could see into this world, it would be a world lacking all soul and spirit! [page 8, 9] But this is how we see the world today! We observe it and create our picture of the realms of nature — the mineral, plant, and animal kingdoms — only to find this picture soulless and spiritless. . . . it is the kind of knowledge which has become a matter of general education today. When I took my first airplane ride at age twenty to travel 600 miles to a job interview, I felt the loss of a firm ground under my feet! I felt like I was floating 30,000 feet in air above the ground, as indeed I was. It took me several more flights before this curious sensation finally left me. Now I read where Steiner described this as the type of feeling that the leaders of the mystery schools encountered when teaching their students the heliocentric view of the Earth spinning around the Sun. Their students would have fainted without proper preparation. In my early jet airplane flights, I felt the world torn away from under me, exactly as the ancients would have felt if taught the heliocentric view. What took long training of students in ancient times, I overcame quickly because of the greatly increased human level of self-consciousness as it has evolved in our time. [page 9, 10] At the same time, we can see how we look at the world today with a very different self-consciousness than people did in more ancient times. The teachers of ancient wisdom were afraid that, unless their pupils' self-consciousness had been strengthened by a severe training of the will, they would suffer from overwhelming faintness of soul when they were told, for example, that the earth was stationary but revolved around the sun with great speed, and they too were circling around the sun. This feeling of losing firm ground from under their feet was something that the ancients would not have been able to bear. It would have reduced their self-consciousness to the level of a swoon. We, on the other hand, learn to stand up to it already in childhood. It is because our consciousness has evolved to be primarily intellect-based that we can handle, without extra training, concepts such as the heliocentric view of our Solar System without feeling a loss of footing. We can see how, when we use intellectual reasoning we lose all experience of our innate sense of feeling, i. e., as Steiner says on page 12, ". . . we are deprived of the kind of knowledge for which our souls nevertheless yearn." It was indeed for me the kind of knowledge I yearned for at age 22 and I had no idea where to seek this soul knowledge, or even if there existed any such knowledge! If we have intellectual honesty, we cannot imagine our natural world as split away from the world of the spirit. [page 23] We do not contemplate nature as being thus alienated from the world of spirit. And, if people today are honest, they cannot help becoming aware of the dichotomy between what is most precious in them on one hand, and the interpretation of the world given by natural science on the other. One can look at the stark emptiness of a world devoid of soul portrayed in the dismal ending scenes of the movie "A. I.". It is the world of people who have adopted the firm footing of materialistic natural science and have developed a bleak view of the Earth as a tiny speck in some desolate corner of the Universe which will eventually fall into the Sun and burn away into nothingness. The very idea of nothingness is a nightmare for the natural scientist. They are born out of nothing and die into nothing, just as their world itself will do. Life is hopeless and everything we strive for will disappear in time. That is the message of natural science. [page 24, 25] This is the point at which spiritual science enters, not just to grant new hope and belief, but resting entirely on its own sure knowledge, developed as I have already described. It states that the natural-scientific theory of the world offers only an abstract point of view. In reality, the world is imbued with spirit, and permeated by supersensible beings. If we look back into primeval times, we find that the material substances of the earth originated in the spiritual world, and also that the present material nature of the earth will become spirit again in future times. Just as, at death, the human being lays aside the physical body to enter, consciously, a spiritual world, so will the material part of the earth fall away like a corpse and what then is soul and spirit on earth and in human beings will arise again in future times, even though the earth will have perished. Christ's words — taken as a variation of this same theme — ring true: "Heaven and earth shall pass away, but my words shall not pass away." Human beings thus can say, "Everything that our eyes can see will perish, just as the body, the transient part of the human individuality does. But there will rise again from this dying away what lived on earth as morality. Human beings will perceive a spiritual world around them; they will live themselves into a spiritual world." Clearly our life is limited by the boundaries of birth and death, but everything we are doing here on Earth of a moral nature will live on into another world we have no words to describe. This realization is the goal of spiritual science. [page 27] It enables us to become aware of our spirituality. It helps us see in our fellows other beings of soul and spirit. And it helps us recognize that our earthly deeds, however humble and practical, have a cosmic and universal spiritual meaning. "That all sounds good," you may be thinking, but what has spiritual science done to make my world better?" The full answer to this question would require a detailed study of Rudolf Steiner's works, but, in a few passages, he describes what has been done so far. [page 28, 29] Last spring, I was able to show how what I could only sketch tonight, as the beginning of spiritual-scientific research can be applied in all branches of science. On that occasion, I showed doctors and medical students how the results of spiritual science, gained by means of strict and exact methods, can be applied to therapeutics. Medical questions, which can often touch on other problems related to human health, are questions that every conscientious doctor recognizes as belonging to the facts of our present civilization. [page 29, italics added] During that autumn course, specialists drawn from many fields — law, mathematics, history, sociology, biology, physics, chemistry, and pedagogy — tried to show how all branches of science can be fructified by anthroposophical spiritual science. . . . The courses were meant to show how spiritual science, far from fostering dilettantism or nebulous mysticism, is capable of entering and fructifying all of the sciences and that, in doing so, it is uplifting and linking each separate branch to become part of a comprehensive spiritual-supersensible conception of the human being. [page 31] This gives us the hope that those who still oppose spiritual science will eventually find their way into it because it strives toward something belonging to all people. It strives toward the spirit, and humanity needs the spirit. Why do we need the spirit? Because almost one hundred years after Steiner gave these lectures, we have learned a lot more about the physical body through advances in physiology, psychology, and medicine. Yet we, in this nascent millennium, still have a lot to learn about the greater part of the human being, the soul and spirit, and spiritual science can provide the answers to the yearnings of our soul by continuing to expand our knowledge into soul and spiritual realms. [page 33] Only this spiritual-scientific continuation allows a person to acquire the kind of knowledge that can answer the deepest longings in the minds and the souls of modern human being. Thus, through spiritual science, one really comes to know human beings. In the list of fields (Page 29 above), I highlighted one special field that Steiner’s spiritual science can benefit, and that is pedagogy, the field of education. Steiner says on page 35, "One of the most important practical activities is surely education of the young." A quick scan of the list of Waldorf Education lectures that Steiner gave (see bottom of this review for the list or link to the list) will show that all but a few of these lectures were given by him in the last five years of his life (1919-1924). The Roots of Education (March, 1924) were the very last lectures on education he gave, coming after over 6,000 other lectures during the previous 25 years. He gave few lectures afterward and died in March, 1925. He had obviously come to realize that the best way to apply his spiritual science to the practical needs of society was through bringing it into the service of pedagogy. We need this especially for our children, who arrive in this world as spiritual beings and deserve to be treated as such, not treated as fodder for some educational machine to crush, manipulate, and spit out materialistic robots into society. No, our children deserve the chance to meet their full potential as human beings, and Steiner-inspired Waldorf educational principles groom teachers to recognize the soul-spiritual nature of each child and assist each one to grow into a healthy, happy adult, living with an inner harmony of body, soul, and spirit. [page 36] And because spiritual science, in its own way, seeks the inner harmony between knowledge, religious depth, and artistic creativity, it is in a position to survey rightly — that is spiritually — the enigmatic, admirable creation that is a human being and how it is placed in the world. In the above quote we can deduce that when Steiner says, "survey rightly," he means "understand spiritually." Similarly when he says, "understood rightly," as he does in many lectures, we can take him to mean, "understood spiritually." If you have ever traced a great river from its source to its delta, you will have noticed that at times, the water disappears beneath ground and appears again further downstream. It is the same water appearing in a new location. Steiner uses this metaphor to describe how the way one plays in one's early youth reappears in one's twenties as aptitude for finding one's way in the world as an adult. I was fortunate to have four brothers and neighborhood kids to play with, and our parents occasionally guided, but never restricted our play unless we caused harm to ourselves or others, which was rare. We were never bored, always finding interesting things to do, games to play, and fun ways to keep busy. [page 39, 40] Now, careful observation will reveal that the way in which people in their twenties adapt themselves to outer conditions of life, with greater or lesser skill, is a direct consequence of their play activity during early childhood. Certain rivers, whose sources may be clearly traced, disappear below the earth's surface during their course, only to resurface at a later stage. We can compare this phenomenon with certain faculties in human life. The faculty of playing, so prominent in a young child, is particularly well developed during the first years of life. It then vanishes into the deeper regions of the soul to resurface during the twenties, transmuted into an aptitude for finding ones way in the world. Just think: by guiding the play of young children, we, as educators, are directly intervening in the happiness or unhappiness, the future destiny, of young people in their twenties! It is easy to agree with Steiner when he adds, "Such insights greatly sharpen our sense of responsibility as educators." This next passage illuminates the need for Waldorf teachers to follow their students from the first to the eighth grades. It is the longitudinal experience with the growth of each pupil which will inspire the teachers as they watch the external effects of the child's spirit descending into and shaping its features, its bodily shape and its actions. [page 40, 41] At this point, I should mention that those who choose to become teachers or educators through anthroposophical spiritual science are filled with the consciousness that a message from the spiritual world is actually present in what they meet in such enigmatic and wondrous ways in the developing human being, the child. Such teachers observe the child with its initially indeterminate features, noticing how they gradually assume more definite forms. They see how children's movements and life stirrings are undefined to begin with and how directness and purpose then increasingly enter their actions from the depths of their souls. Those who have prepared themselves to become teachers and educators through anthroposophical spiritual science are aware that something actually descending from the spiritual worlds lives in the way the features of a child's face change from day to day, week to week, and year to year, gradually evolving into a distinct physiognomy. And they know too that something spiritual is descending in what is working through the lively movements of a child's hands and in what, quite magically, enters into a child's way of speaking. [page 41] The spiritual worlds have entrusted a human soul into my care. I have been called upon to assist in solving the riddles that this child poses. By means of a deepened knowledge of the human being — transformed into a real art, the art of education — it is my task to show this child the way into life. Now, ask yourself, dear Reader, is a person who undertook teaching in this manner someone you would wish to educate your seven-year-old child? Riddles of childhood not solved by a teacher are like unkissed bruises and bumps on a child's soul which will show up later in various maladjustments to adult life. My surmise is that the increasing frequency of adult children returning to their parent's home from some unsuccessful life experience provides us ample examples of such maladjustments to adult life. Lacking a parental home to return to, many choose homelessness rather than directly face the exigencies of adult life. Unkissed bruises can harm the child when it grows into an adult, but not as much as can actually inflicting soul bruises by the premature teaching of reading before writing. Reading involves absorbing completely abstract figures, the letters of the alphabet, and teachers who require this be done by rote learning hit the child with a soul-deadening process, similar to the deadening that occurs from a shot of novocaine by the dentist. The difference is the dentist’s deadening goes away in a few hours, but the soul-deadening can remain unkissed bruises for the rest of a child’s life. Look into the childhood of an adult who reads only what is required by their job and cannot enjoy reading for pleasure, and you will find someone who was forced at an early age to learn the abstract letters of the alphabet. [page 47, 48] Of course, it is quite possible to teach young children reading and writing by rote and get them to rattle off what is put before their eyes, but it is also possible to deaden something in them by doing this, and anything killed during childhood remains dead for the rest of one's life. The opposite is equally true. What we allow to live and what we wake into life is the very stuff that will blossom and give life vitality. To nurture this process, surely, is the task of a real educator(1). It is a curious paradox, one that will be lost on inveterate materialists, that much of what they call the real world consists of completely abstract concepts. Every theory of theirs is filled with abstract concepts, no matter how useful the theory in predicting events in the sensory world. Their theories about human beings are also abstract and are applied to human beings as if they were corpses, those inanimate material bodies lying on an autopsy table. Sometimes their theories are useful. But theories applied, without the insights of spiritual science, are often incomplete and inaccurate. We need these expanded insights today more than ever to rescue us from a one-sided, materialistic view of the human being. No wonder that horror films about the walking-dead are so popular today. People sense unconsciously that they themselves are treated by materialistic scientists as if they were mere dead matter which happens to be animated. [page 49] The pressing demands of society show clearly enough the need for such knowledge today. By complementing the outer, material aspects of life with supersensible and spiritual insights, spiritual science or anthroposophy leads us from a generally unreal, abstract concept of life to a concrete practical reality. According to this view, human beings occupy a cental position in the universe. Such realistic understanding of human nature and human activities is what is needed today. Teachers can use the metaphor of the caterpillar becoming a butterfly to demonstrate this soul to soul teaching and learning process. The first kind of teacher truly believes that this story evokes the feeling and deep meaning of immortality of human beings, and that what flies from the teacher's soul to the pupils' souls is this spiritual reality. The second kind of teacher considers this butterfly life cycle to be a silly analogy, and as a result the pupils will receive only the supercilious soul attitude of the teacher. Anyone monitoring the classrooms of the two teachers will observe in the second kind's classroom, a complete lack of involved attention to the teacher by the pupils, and in the first kind's classroom, a deep level of introspection by the pupils. And while in the first kind of teacher’s classroom, such a powerful metaphor for immortality may not be understood directly by the pupils, but it will embed an unanswered question in each of their minds which will continue to bear fruit as they grow older. What kind of school has teachers of the first kind? [page 50] A Waldorf teacher, an anthroposophically oriented spiritual researcher, would not feel, "I am the intelligent adult who makes up a story for the children's benefit," but rather: "The eternal beings and powers, acting as the spiritual in nature, have placed before my eyes a picture of the immortal human soul, objectively, in the form of the emerging butterfly. Believing in the truth of this picture with every fiber of my being, and bringing it to my pupils through my own conviction, I will awaken in them a truly religious concept. What matters is not so much what I, as teacher, say to the child, but what I am and what my heartfelt attitude is." These are the kinds of things that must be taken more and more seriously in the art of education. [page 54] According to natural science, what rises in the human soul as ethics, religion, science or art, does not represent reality. Indeed, if we look toward the end of earthly evolution as it is presented by science, all that is offered is the prospect of an immense cemetery. On earth, death would follow, due either to general glaciation, or to total annihilation by heat. In either case, the result would be a great cemetery for all human ideals — for everything considered to be the essence of human values and the most important aspect of human existence. If we are honest in accepting what natural science tells us — such people had to conclude — then all that remains is only a final extinction of all forms of existence. Steiner saw how such a view led to the materialism of the working class and he perceived the catastrophes ensuing following the Russian revolution which lasted for seventy years and planted its seeds of discord in other countries around the world. What is the alternate to such a bleak world view? [page 55] Anthroposophical spiritual science gives us not only ideas and concepts of something real but also ideas and concepts by which we know that we are not just thinking about something filled with spirit. Spiritual science gives us the living spirit itself, not just spirit in the form of thoughts. It shows human beings as beings filled with living spirit — just like the ancient religions. Like the ancient religions, the message of spiritual science is not just "you will know something," but "you will know something, and divine wisdom will thereby live in you. As blood pulses in you, so, by true knowing, will divine powers too pulse in you." Spiritual science, as represented in Dornach, wishes to bring to humanity precisely such knowledge and spiritual life. Steiner observed the state taking over the schools from various denominations and thought it was a good idea, but he knew that meant education would soon become a servant of the state. He warned, "The state can train theologians, lawers, or other professionals to become its civil servants, but if the spiritual life is to be granted full independence, all persons in a teaching capacity must be responsible to the spiritual world, to which they can look up in the light of spiritual science." He also predicted, "One must be clear that freedom from state interference in education will be the call of the future." By doing so he foresaw the advent of "Charter Schools" which provide a considerable degree of independence from the state schools today. In New Orleans, the state and local bureaucracy ran horrible schools with a pitiful graduation rate and abysmal level of educational achievement. No way out of this conundrum was deemed possible until Hurricane Katrina blew through the city and cleared out the state schools which were replaced by healthy and vibrant Charter schools. The snakes of coercion from the state bureaucracy are trying to sneak back into control, and if they do, we can expect a repeat of the former debacle. On pages 58 and 59 Steiner discusses the economic sphere and uses the example of "crabs" in the publishing business as one example of wasteful practices in his time. Back then, what we know now as "remainders" in the book trade were called "crabs". Today with the advent of Print-on-Demand books, books can be printed when an order is placed, and this eliminates the wasteful and unprofitable "crabs" and keeps books available in print form indefinitely. What about health and illnesses in the school system? This is an area where Steiner's ideas have been invaluable in the developing of the Waldorf School system. One of these is how the introduction of writing, reading, and arithmetic assaults the child's nature. (Page 76) To counter these necessary assaults, Waldorf teachers learn to first minimize them, by teaching writing before reading using an artistic approach which harmonizes with the child's basic artistic instincts. Secondly, the teachers attempt to restore a harmonic balance after these assaults. They ask themselves, “How do I heal the child from these necessary attacks required by civilization?” Awareness of this is required of the teachers. [page 77] But this awareness is possible only if we have insight into the whole human organization and really understand the conditions of that organization. We can be proper teachers and educators only if we can grasp the principle of the inflicting of malformations and their subsequent harmonization. For we can then face a child with the assurance that, whatever we are doing when teaching a subject and thereby attacking one or other organic system, we can always find ways and means of balancing the ill effects of leading the child into onesidedness. This is one realistic principle and method in our education that teachers can use and that will make them into people who know and understand human nature. Teachers, if they are able to know the human being as a whole, including the inherent tendencies toward health and illness, can gradually develop this ability. Steiner leaves us an unanswered question, "What is the opposite of illness?" We would immediately think the answer is health, but he answers that it is "overabundant bliss". He says that illness comes when one organ is out of whack. I think of it like the way one person out of step in a marching band disrupts the harmony of the entire formation. [page 78] What occurs in the case of illness is that a single organ, or organic system, no longer operates within the overall general organization but assumes a separate role. This has a complement in the case of a single organization merging into the total organization. One might imagine the role of a dictator like Hitler as an example of a single person merging into a total organization. We call such a system a totalitarian system. Look at the bliss felt at the huge Nazi rallies when Hitler spoke: can you understand this as bliss? And yet, the people in rally felt it and it was clearly not healthy for the German people in the long run. Rightly understood, health is a balance between illness and overweening bliss. [page 79] Between these two extremes — of feeling ill or pained and the feeling of well-being or organic bliss — a healthy human being must hold the balance. This is what health really is: holding the balance. Before teeth change around age 7, the child's forces are devoted to construction of the physical body, and afterwards these same forces are diverted into the forces of idea-forming, memory, and so on, the very forces teachers will call on for the child's educational development in the primary grades. And teachers do best by activating these forces in an artistic fashion, such as by teaching writing using artistic designs to develop the child's drawing of the otherwise abstract letters of the alphabet. The other important aspect is to counteract these assaults on the child during the morning sessions by devoting the afternoons to purely artistic bodily movement sessions. In Waldorf schools, such a balance is maintained with watercolor and eurythmy classes in the afternoons. Steiner focuses particularly on the ages of 9, 10, and 11 leading up to puberty, saying how important they are, because the soul spirit nature of the child is re-submerging into the physical body as puberty approaches. As I recall, that age period was the time when I was taking out 5 books each week when I went to the Westwego Library and reading about every aspect of the world I could find. I recall it had a collection of about 30 Dr. Doolittle books which I sailed through because of the varied nature of the adventures the good doctor had. I learned a lot about the world through his eyes. [page 83, 84] Indeed our adolescents will develop abnormally if we do not recognize that we must fill their souls and spirits that are submerging into their physical being with an interest for the whole world. If we do not do this, they will become inwardly excitable, nervous or neurasthenic (not to speak of other abnormalities). As teachers, we must direct our pupils' interests to the affairs of the wide world, so that our young people can take into their bodily being as much as possible of what links them to the outer world. Waldorf education always comes down to practical application by teachers of their skills. Rather than having a doctor stand alongside a teacher to determine what should be done for a specific student, the teachers ingest a knowledge of the child's tendencies toward health or illness. [page 85, 86] A healthy situation is possible only when teachers let their knowledge of health and illness permeate their entire teaching. Such a thing, however, is possible only if a living science, as striven for by anthroposophy, includes knowledge of healthy and sick human beings. In those cases where the teacher must lead a child into onesided development in reading, writing, and arithmetic, the teacher knows how to take measures to restore the child into harmony again. [page 86] If teachers are introduced to both healthy and sick development of children in a living way, if they can harmonize those two aspects of child development, then their own feeling life will at once be motivated. They will face each individual child with his or her specific gifts as a whole human being. Even if teachers teach writing in an artistic way, they can still be guiding their children in a onesided way that comes very close to malformation. But, at the same time, they also stand there as whole human beings, who have a rapport with their children's whole beings and, in this capacity, as whole human beings, they themselves can be the counterforce to such onesidedness. [page 86, italics added] There are two things that must always be present in education. On one hand, the goal of each particular subject and, on the other, the 1,001 imponderables which work intimately between one human being and another. [page 121] If they find a world in us as their teachers, then they receive the right preparation to become reverent, social people in the world. We release them from our authority which gave them a world, into the wide world itself. People who cannot hold unanswered questions do best to avoid becoming teachers. One can spot such people because they have an "I know that!" attitude about most any subject one talks about or discusses with them. Such people, if they became teachers, would likely use familiar clichés to talk to their children because the clichés describe what they understand. Unfortunately, if their understanding is at the shallowest level, such teachers will quickly lose the attention of their children in a classroom. Why? Because they have only the cliché to describe their shallow understanding and that shallow understanding flows unabsorbed through their children's ears and souls. [page 132] And what happens when we speak in clichés — no matter whether the subject is religious, scientific, or unconventionally open-minded? The child's soul does not receive the necessary sustenance, for empty phrases cannot offer proper nourishment for the soul. Children clearly will not love a teacher whose forté is the empty phrase or cliché. Steiner understood that, and whenever he visited a Waldorf classroom, he asked one specific question of the students there whose response gave him immediate confirmation that the Waldorf teacher was doing a great job. Can you imagine what such a question might be? [page 133] I must confess that whenever I come to Stuttgart to visit and assist in the guidance of the Waldorf School — which unfortunately happens only seldom — I ask the same question in each class, naturally within the appropriate context and avoiding any possible tedium, "Children, do you love your teachers?" You should hear and witness the enthusiasm with which they call out in chorus, Yes!" This call to the teachers to engender love within their pupils is all part of the question of how the older generation should relate to the young. I daresay few if any teachers could receive such an enthusiastic response in any classroom of the average state-run school system today. Steiner gave over 6,000 lectures in twenty-five years, and never spoke using empty phrases or clichés. His words, even if talking about a subject he had lectured on before always came straight from his heart. When we say someone speaks from the heart, we are describing the process of knowledge flying from the speaker on the wings of words, from one heart to another heart. [page 137] It might surprise you to hear that in none of the various anthroposophical conferences that we have held during the past few months was there any lack of younger members. They were always there and I never minced my words when speaking to them. But they soon realized that I was not addressing them with clichés or empty phrases. Even if they heard something very different from what they had expected, they could feel that what I said came straight from the heart, as all words of real value do. The practice of foot-binding of young Chinese girls to maintain a small size for their females, thought to make them prettier, has been universally decried and has disappeared from use in modern China. But the same liberal thinkers who would decry foot-binding can often be found teaching children using abstract concepts that are soul-binding, providing soul-shoes too tight for the children's souls to expand into, producing children of small souls and constricted understanding of the world. The result is not pretty. [page 152] It is so easy to feel tempted to teach children clearly defined and sharply contoured concepts representing strict and fixed definitions. If one does so, it is as if one were putting a young child's arms or legs, which are destined to continue their growth freely until a certain age, into rigid fetters. Apart from looking after a child's other physical needs, we must also ensure that its limbs grown naturally, unconstricted, especially while it is still at the growing stage. Similarly, we mst plant into a child's soul only concepts, ideas, feelings, and will impulses that, because they are not fixed into sharp and final contours, are capable fo further development. Rigid concepts would have the effect of fettering a child's soul life instead of allowing it to evolve freely and flexibly. Only by avoiding rigidity can we hope that what we plant into a child's heart will emerge during later life in the right way. When we understand as teachers, that what we plant in and instill into our children’s hearts will appear much later in life, it should be clear that what can be represented as a letter grade on a report card at the end of one year is little more than a shallow cliché. This is why Waldorf School teachers prepare a poem at the end of a term for each student, a poetic representation which may contain numerous unanswered questions to fructify the child's entire adult life to come. Steiner could see no use for experiments done with children. One need only look at an early experiment when Frederick the Great had a group of children isolated from birth to discover what language they would speak naturally. The result of the experiment was that all the children died from lack of human contact! In a similar but less serious vein, the experiments done on modern day children are death-dealing and soul-weakening. [page 153] What does one seek to discover through experiments in children's powers of comprehension, receptivity to sense impressions, memory, and even will? All of this shows only that, in our present civilization, the direct and elementary relationship of one soul to another has been weakened. For we resort today increasingly to external physical experimentation rather than to a natural and immediate rapport with the child, as was the case in earlier times. To counterbalance such experimental studies, we must create new awareness and knowledge of the child's soul. This must be the basis of a heathy pedagogy. One will often see people walking and talking together. This is a natural and enjoyable way to have a conversation between two people. The basis of this felt enjoyment goes back to how we develop our will and feeling organizations in our childhood. [page 155] As young children are learning to walk, they are developing in their brains — from below upward, from the lower limbs and in a certain way from the periphery toward the center — their will organization. In other words: when learning to walk, a child develops the will organization of the brain through the will activity of its lower limbs. Next comes the development of the breathing organization which forms the basis of our ability to talk. [page 155] The breathing assumes what I should like to call a more individual constitution, just as the limb system did through th activity of walking. And this transformation and strengthening of the breathing — which one can observe physiologically — is expressed in the whole activity of speaking. Once more, as with walking, there is a development from below upward. [page 155] We can follow quite clearly what a young person integrates into the nervous system by means of language. We can see how, in learning to speak, ever greater inwardness of feeling begins to radiate outward. As a human being, learning to walk becomes integrated into the will sphere of the nervous system, so, in learning to speak, the child's feeling life likewise becomes integrated. Thus as adults, our will and feeling functions are most in harmony with each other when we walk and talk together with someone. There's an old popular song which goes: "Let's go for an old-fashioned walk, I'm just bursting with talk; what a tale could be told if we went for an old-fashioned walk." There is much truth in those lyrics. So often in a movie, we'll see a man go to talk to his boss, and his boss says, "Walk with me." What could otherwise seem like a move to save time, can now be seen as a way to facilitate the talking by creating a harmony with the walking. Another insight which Steiner shares is that vowels come from a mother's soul and consonants from a father's movements. Certainly the first words spoken by a baby illustrate this: mama and dada. Say these words and notice how ma-ma focuses on an inner vowel sound, and da-da focuses on an outward striving consonant which one almost has to spit out to speak. For over thirty years, since my first grandchild was born, I have insisted that they call me Granpa. 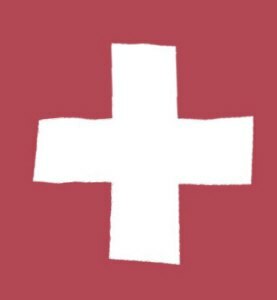 Now, it occurs to me why I like the name: it combines a mother's vowel sound 'an' and a father's consonant sound, the 'pa', giving it an androgynous quality which fits best with my approach to being a grandparent. [page 156] It is wonderful to see, for example, what happens when someone — perhaps the mother or another — is with the child when it learns to speak the vowels. A quality corresponding to the soul being of the adult who is in the child's presence flows into the child's feeling through these vowels. On the other hand, everything that stimulates the child to perform its own movements in relation to the external world — such as finding & the right relationship to warmth or coldness — leads to the speaking of consonants. It is wonderful to see how one part of the human organism, say moving of limbs or language, works back into another part. In the nascent science of doyletics, we postulate that our early memories are full body states which we call doyles, and our later memories involve more cognitive images and thinking, a process which neuroscientists call declarative memories. In this next passage Steiner, speaking a hundred years or so ago, said essentially the same thing. Natural science has been able to pinpoint the hippocampus of the brain as the gateway which transmits the experienced events to the cortex for later recall as thinking and images. Our limbic system in the root brain stores the bodily states for later recall as bodily states or doyles whenever the hippocampus is not functional; this includes the pre-teeth-change stage of growth and the later-in-life times of external stress. An extreme stress event will flood the hippocampus with glutocorticoids, rendering it temporarily non-functional, causing doyles to remain in the limbic region and resulting in post-traumatic stress syndrome episodes as these stored bodily states (doyles) bleed through. [page 156] . . . just as we see that a child's will life is inwardly established through the ability to walk, and that a child's feeling life is inwardly established by its learning to speak so, at the time of the change of teeth, around the seventh year, we see the faculty of mental picturing or thinking develop in a more or less individualized form that is no longer bound to the entire bodily organization, as previously. It is important for a teacher to connect with a child using an artistic approach, especially during the earliest years of a child's life. He says on page 116 that, "A true teacher(2) of our time must never lose sight of the whole complex of such interconnections." Steiner refers to the "etheric body" as the "time organism" as he focuses on the post-teeth change development of the child. [page 166] There is one moment of special importance, approximately halfway through the second life period; that is, roughly between the ninth and tenth years. This is a point in a child's development that teachers need to observe particularly carefully. If one has attained real insight into human development and is able to observe the time organism or etheric body, as I have described it, throughout the course of human life, one knows how, in old age, when a person is inclined to look back over his or her life down to early childhood days, among the many memory pictures that emerge, there emerge particularly vividly the pictures of teachers and other influential figures of the ninth and tenth years. The age of 9 and 10 was a time of a lot of early reading for me. I went to our public library once or twice a week, bringing home five books each time, the most allowed to be checked out. The librarian, Mrs. Edith Lawson, was a very influential person in my life, and one vivid image of her sticks in my mind. I was checking my selected books one day and she carefully inspected this one book, looking at the book, and then into my eyes before finally allowing me to take the book. She gave me no reason for this unusual delay, so it remained an unanswered question until a decade or so later, when I realized the cartoon character, whose adventures in the human body I wanted to see drawn out like a comic book for me, was a syphilis bug. Not even understanding it was about a disease, I learned a lot about syphilis, how it enters through the skin and how the disease can cause blindness, for example. [page 156] What enters a child's unconscious then emerges again vividly in old age, creating either happiness or pain, and generating either an enlivening or a deadening effect. This is an exact observation. It is neither fantasy nor mere theory. It is a realization that is of immense importance for the teacher. At this age, a child has specific needs that, if heeded, help bring about a definite relationship between the pupil and the teacher. A teacher simply has to observe the child at this age to sense how a more or less innate and unspoken question lives in the child's soul at this time, a question that can never be put into actual words. In this next passage Steiner makes explicit an insight I mentioned earlier about the need for a live lecturer in a classroom. My insight was this: what was communicated soul-to-soul without being spoken was as important or more important than what was spoken. Children may rebut a teacher's words, but cannot rebut an insight received directly in their souls. [page 168] People of materialistic outlook usually believe that whatever affects children reaches them only through words or outer actions. Little do they know that quite other forces are at work in children! There was nothing in my college schooling or in the extensive literature I have read which revealed this reality about children to me before I encountered it in Steiner's lectures. I was taught to believe that the content of words spoken was the sole communication. Later when I studied with Richard Bandler, he taught me that there was an invisible communication channel in the tone one used when one spoke. Amazing, but still a materialistic aspect of communication. What Steiner reveals here is a mode of communication that would have to be ESP (extrasensory perception) by materialists, but it really exists and can be discovered and utilized effectively by teachers and others. [page 169] Unseen supersensible — or shall we say imponderable — forces are at work here. It is not the words that we speak to children that matter, but what we ourselves are — and above all what we are when we are dealing with our children. We must learn to think of our words as the mere carrier waves of the reality we transmit (to use a radio metaphor). Or perhaps think of our words as carrier pigeons who carry tiny capsules bound to their feet which contains the real message, the soul message we wish to send to the other person. What we think about when we speak, speaks louder than the words we use, rightly understood. See my review of Towards Imagination, which contains my poem "On the Wings of Words", for an earlier incarnation of this idea. These capsules of soul and spirit by a parent or a teacher become implanted in the children and ripen into fruit later in their life. [page 173] We can therefore plant something like soul-spiritual seeds in our children that will bear fruits of inner happiness and security in practical life situations for the rest of their earthly existence. Some children encounter great difficulties as they grow into early adulthood, being unable to cope with the challenges of life, flunking out of college, being unable to hold a job, etc. Steiner explains how this might happen. [page 180] If we are asked, "Why has a particular child not developed a healthy ability to discriminate by the time they are thirteen or fourteen? Why do they make such confused judgments?" We often have to answer, "Because the child was not encouraged to make the right kinds of physical hand and foot movement in early childhood." Eurythmy in Waldorf schools teaches the child to make physical hand and foot movements because it is speech made visible. Steiner says on page 181, "Each single movement — every detail of movement that is performed eurythmically — manifest such laws of the human organism as are found in speech or song." If the child doesn't receive the right kind of hand and foot movements from its parents during pre-school time, it can receive it during Waldorf school time. I grew up as the son of a blend of German and Cajun parents. They were always using their hands and I mimicked them. Mom crocheted and I even learned to do a little of it myself as the oldest child. My dad while listening the Gillette Friday night boxing matches would knit crab and shrimp nets using a hand-made tool and I learned to do a bit of that also. He bought scraps of lead, heated the lead on the stove, and poured it into wooden forms to make the lead weights for the edge of the shrimp cast nets he knitted. I got a lead soldier kit from Santa which I made soldiers melting the lead as I saw my dad do it. If we needed something to use or work with, Dad always made it by hand, often from discarded material. He built a trailer using the rear axle on a junk auto. He built a crab boiling burner from a discarded water heater burner. When he added on a room to our first home, he showed me how to toenail a vertical stud to keep it upright. Most of my early footwork was learning to quickly get out of his way when he was working and to fetch something he needed quickly. 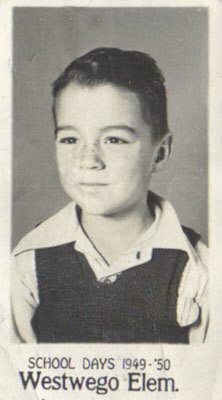 My fine motor skills developed as I watched my dad working in various ways, e. g., building himself a pirogue, resoling our shoes, cutting my hair and my brothers's hair, catching fish, dancing, hunting, playing, etc. He rarely told me what was the right thing to do, but he quickly corrected me if he sensed I was doing something wrong. Stealing and hurting some else brought his wrath quickly. He was my first teacher about what it was to be a man. From my mother I learned what it was to raise small children, how to burp them, change their diapers, rock them to sleep, kiss their bruised knees, and feed them, etc. By age 20 I could have written the Dr. Spock book on parenting. [page 189] Listen carefully to what I say: teachers do not implant an ethical attitude by moralizing. To the child, they are morality personified, so that there is truly no need for them to moralize. Whatever they do will be considered right; whatever they refrain from doing will be considered wrong. Thus, in living contact between child and teacher, an entire system of sympathies and antipathies regarding matters of life will develop. Through those sympathies and antipathies, a right feeling for the dignity of human beings and for a proper involvement in life will develop. Later as the child reaches puberty, these sympathies and antipathies grow into a sense of morality and moral principles, "a moral attitude of soul". [page 191] This is the wonderful secret of puberty. It is the metamorphosis of what had previously lived in the child as living morality into a conscious sense of morality and of moral principles. Once more Steiner gives us insight into how what a child learns in early life becomes a source of youthful energy as one ages into the mid-thirties, the mid-fifties, and beyond. A true teacher will recognize this and accept this responsibility as a sacred trust to ensure that the child matures in a healthy fashion. [page 192] Only at the age of about 35, does a person's soul begin to loosen itself somewhat from the physical body. At that point, two ways are open to us — although, unfortunately, all too often there remains no choice. At that moment, when our souls and spirits free themselves from our physical bodies, we can keep alive within us the living impulses of feeling, will, and concepts that are capable of further growth and that were implanted in our souls during childhood days. In that case, we not only remember experiences undergone at school but can relive them time and again, finding in them a source of ever-renewing life forces. Although, naturally, we grow old in limbs, with wrinkled faces and grey hair and possibly even suffering from gout, we will nevertheless retain a fresh and youthful soul and, even in ripe old age, one can grow younger again without becoming childish. What some people, perhaps at the age of 50, experience as a second wave of youthful forces is a consequence of the soul's having become strong enough, through education, to enable it to function well not only while it has the support of a strong physique but also when the time comes for it to withdraw from the body. Waldorf School teachers do not give a letter or number grade at the end of each term. Steiner said that he was unable to distinguish from a B or B- or satisfactory versus unsatisfactory grade. (Page 194) Instead of such grades, the Waldorf teachers write a summary of the child's life during the year plus a short poem, a verse for the child to consider. I would hope the verse would contain several unanswered questions for the child to ponder during the next year and to have answers revealed during the child's later adult life. [page 195] We do not make use of such marks in our reports. We simply describe the life of the pupil during the year, so that each report represents an individual effort by the teacher. We also include in each report a verse for the year that has been specially chosen for the individuality of the child in words with which she or he can live and in which he or she can find inner strength until the coming of a new verse at the end of the next school year. In that way, the report is an altogether individual event for the child. Proceeding thus, it is quite possible for the teacher to write some strong home truths into a report. The children will accept their mirror images, even if they are not altogether pleasing ones. In the Waldorf school, we have managed this not only through the relationship that has developed between teachers and pupils but also, above all, through something else that I could describe in further detail and that we can call the spirit of the Waldorf school. This spirit is growing; it is an organic being. Naturally, I am speaking pictorially, but even such pictures represent a reality. My parents and my teachers deserve a "poem grade" for the good work they have done so that I am healthy and happy, and am still working actively as I near 80. It is with gratitude and thanks that I close this review with a verse for them. to enrich my later life. in fun and productive deeds. to bless those in need now. Footnote 2. See my review of Human Values in Education which contains 20 stanzas of free verse which begin with "A teacher" or "A true teacher".